When I was in elementary school, I remember taking a field trip to the Queen Elizabeth Theatre in Vancouver during the holiday season. The reason? To see a performance of The Nutcracker by the Royal Winnipeg Ballet. I remember being completely enthralled by all the wonderful costumes, the fantastic music and the beautiful twirling and jumping taking place before my eyes. I don’t know if I raved about that experience to my mom or if it was just coincidence, but in the summer, I was signed up for ballet lessons. Before I knew it, I was whisked off to join their professional division dancing three times a week. Quickly that grew to four times and by the time I stopped dancing at the end of high school, I was spending six days and close to 20 hours a week at the studio between classes and rehearsals. I wasn’t the best in the class. Far from. In fact, I constantly felt like I was behind, trying to catch up and grab my teacher’s attention. Even when I did feel like I caught up, there was another skill to master. For a short while, I had wanted to be a ballerina, but ever the realist, I knew it wasn’t really for me. 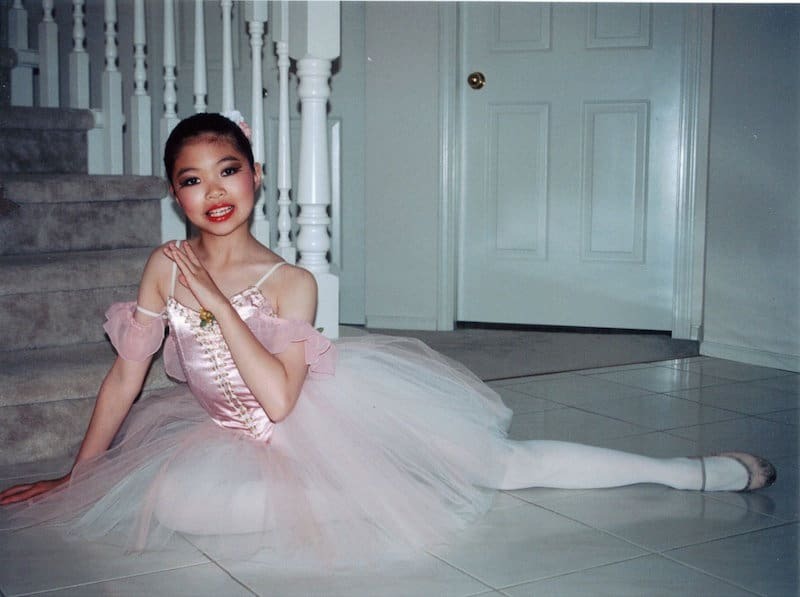 However, a part of that dream was to be able to dance at the Royal Winnipeg Ballet. To me, they seemed like the ultimate definition of grace, beauty and excellence in ballet. Of course, there are many wonderful companies in the world, but because they were my introduction to the world of ballet, they were The One. The dream of dancing there was one that was never realized, however, the ability to explore the school and studios was a close second. I was absolutely thrilled that they invited me to take a look behind the scenes during my visit to Winnipeg. 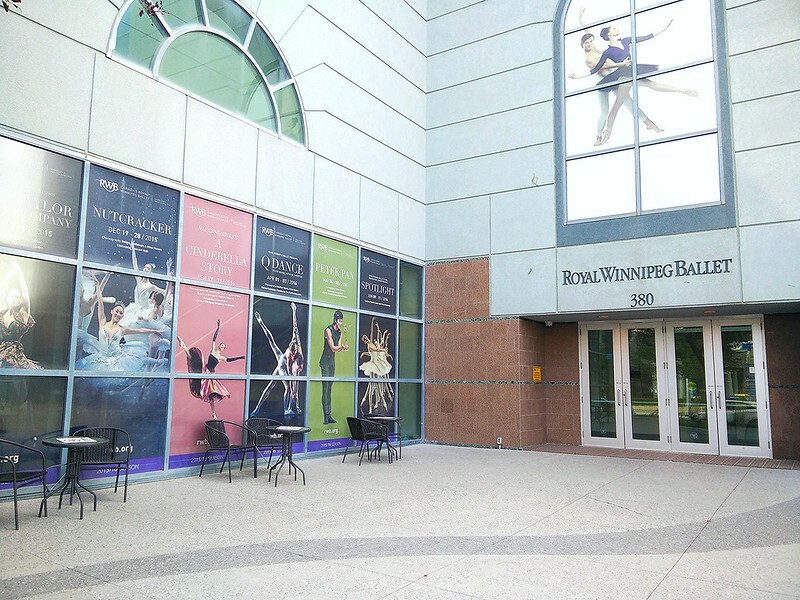 The Royal Winnipeg Ballet was founded in 1939 and is the longest continuously operating ballet company in North America. 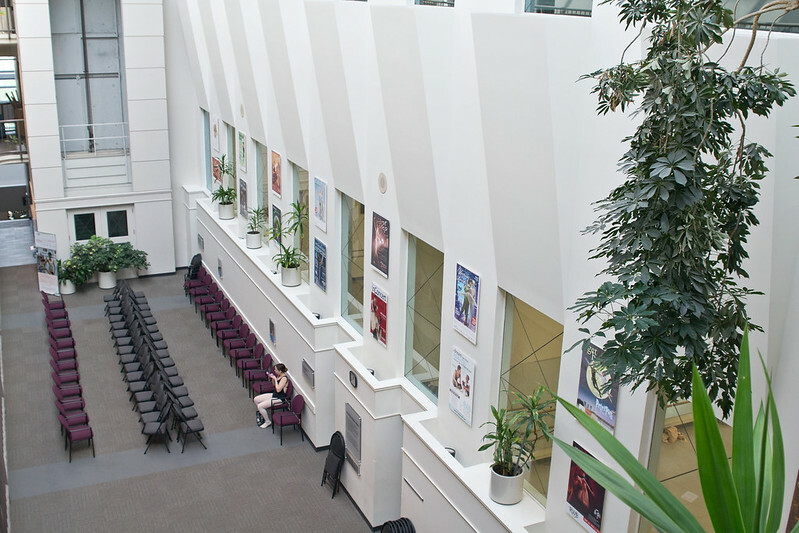 In addition to the company, the Royal Winnipeg Ballet School is also housed in the same building. At the time of my visit, the school was in the middle of their Summer Intensive. Seeing the girls stretching in the halls, hearing the piano music through the studio doors, brought me back to my own summers spent in the studio. 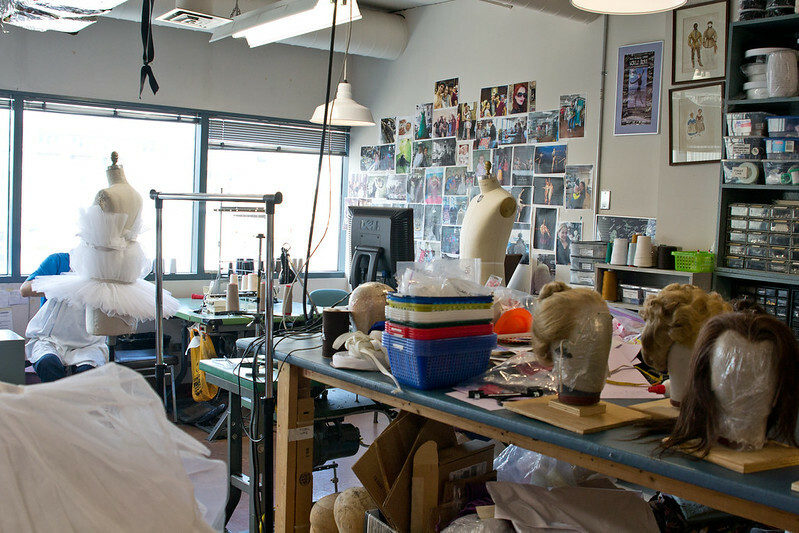 The highlight of my time at the Royal Winnipeg Ballet was being able to visit the costume closet to see costumes being prepared for future performances. 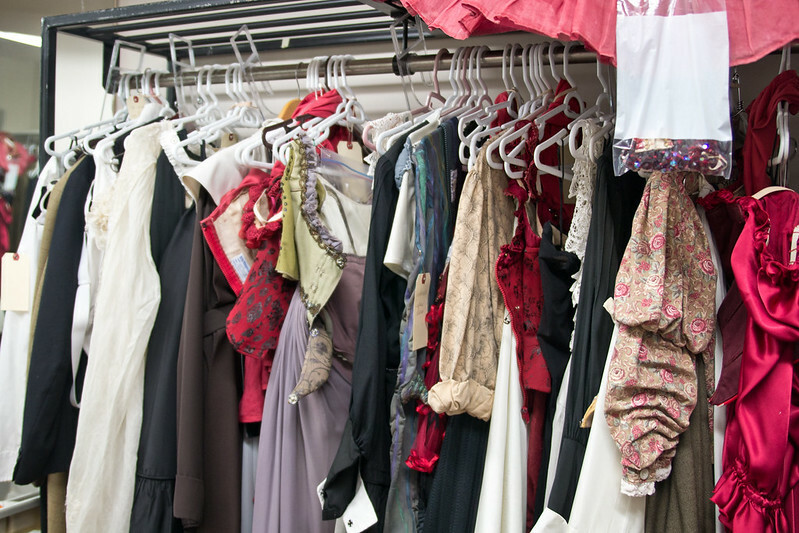 They make all of the costumes for the company and for the school performances in-house. That’s a lot of costumes! Considering the number of ballets they perform each year, over the years they’ve amassed quite the collection of costumes. They only had a small portion of them and the others are stored elsewhere. Dracula is the first performance for the 2016 – 2017 season and made up the vast majority of what they were working on at the time. One surprising fact is that most of the fabrics they use are dyed! This gives them control over the specific colours for each of the costumes. Fabrics are purchased white and then modified to suit their needs. 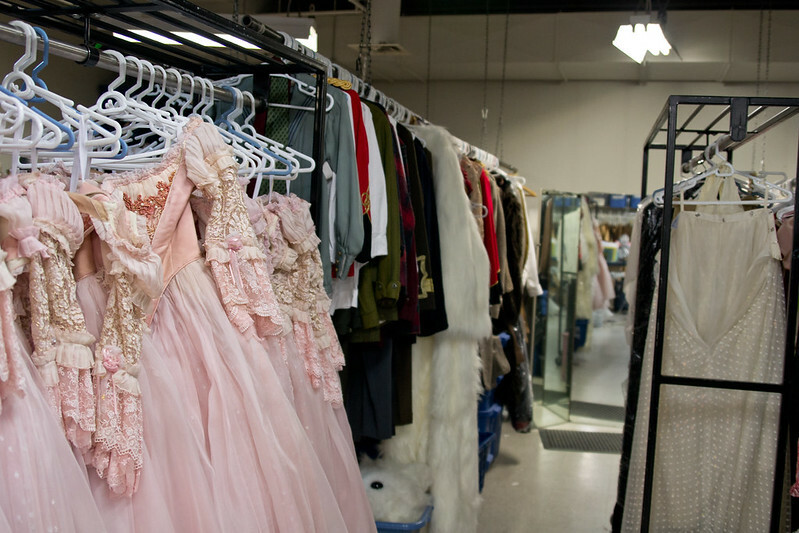 They also had costumes being prepared for the Nutcracker. 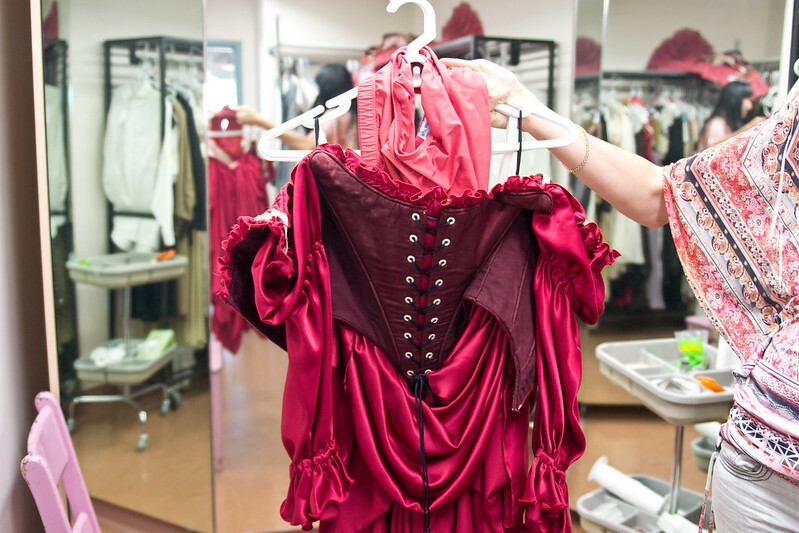 With approximately 200 costumes in the ballet, there is a lot to prepare before December! The pink ones at the front are for Waltz of the Flowers in the Nutcracker. Each of the costumes are so beautifully put together with such intricate details. 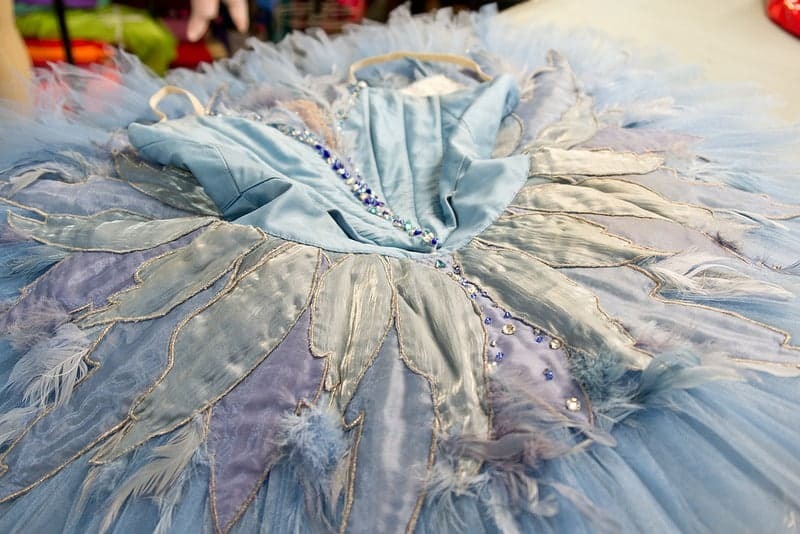 Not to mention the details you may overlook, like the perfect layering of a tutu. 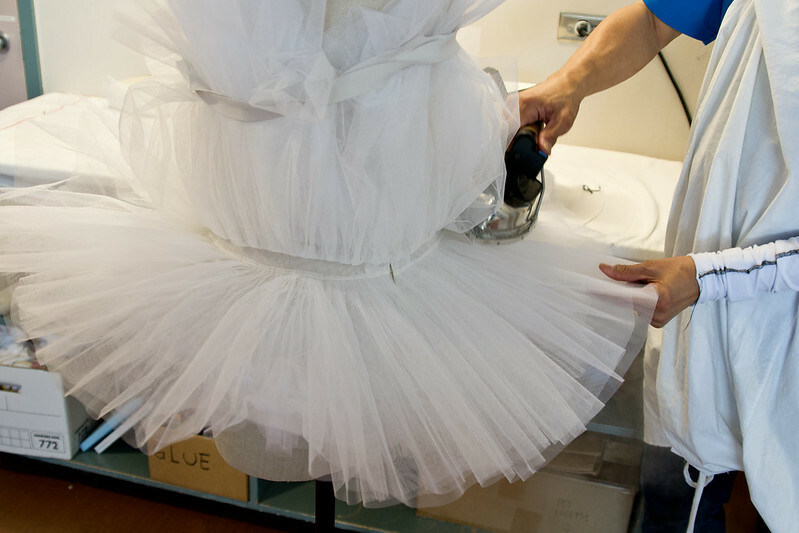 Each tutu has about 11 – 15 layers and takes up to two weeks to put all together and decorate. At the end of the tour, I was given access to watch a rehearsal in progress for a new piece being choreographed by James Kudelka to Claudio Monteverdi’s ‘Vespers, 1610’. Watching the choreographer create was riveting. It really is like watching an artist paint, except the paint are the dancer’s bodies. At first, the movements were awkward as the dancers learned the steps, but as I watched it only got better and smoother; the movements of each dancer syncing with the others and the music. I can only imagine what the finished piece would look like on stage with costumes and lighting. I almost didn’t want to leave because I wanted to know what happened next. I wish I was in town for a performance, but this look behind the scenes and at the rehearsals was a good replacement and made my inner 10-year-old self very happy. If you’re in Winnipeg during a show, I definitely suggest you grab tickets. They also go on tour so keep your eyes out in your city. 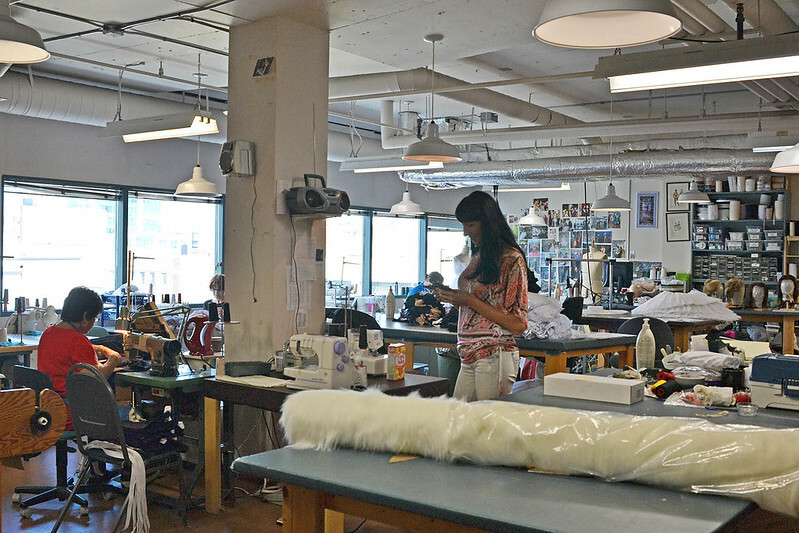 All in all, my visit to the Royal Winnipeg Ballet was a fascinating look into the inner workings of a ballet company. For ticket information visit their website for details on their upcoming shows and tour information. 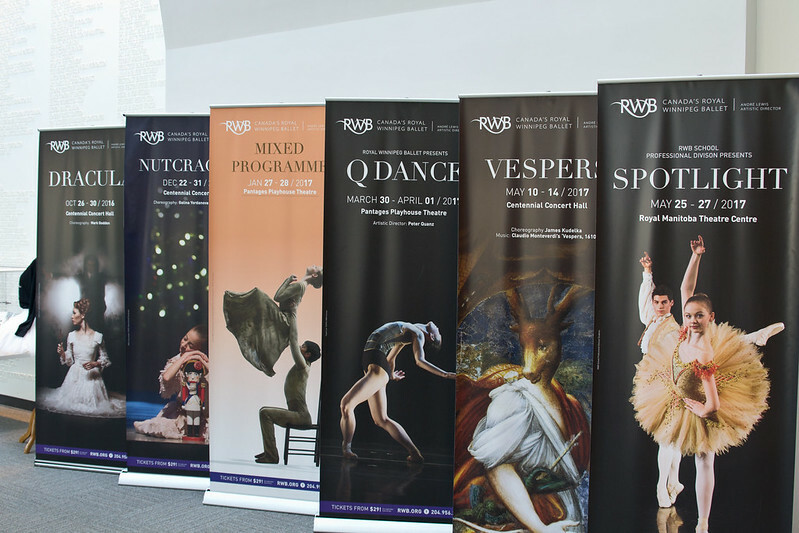 My experience at in this post was made possible in partnership with Tourism Winnipeg and the Royal Winnipeg Ballet. what a lovely job ! lovely photos thanks ! I love watching ballet although I don’t have the grace or coordination to have tried it myself. 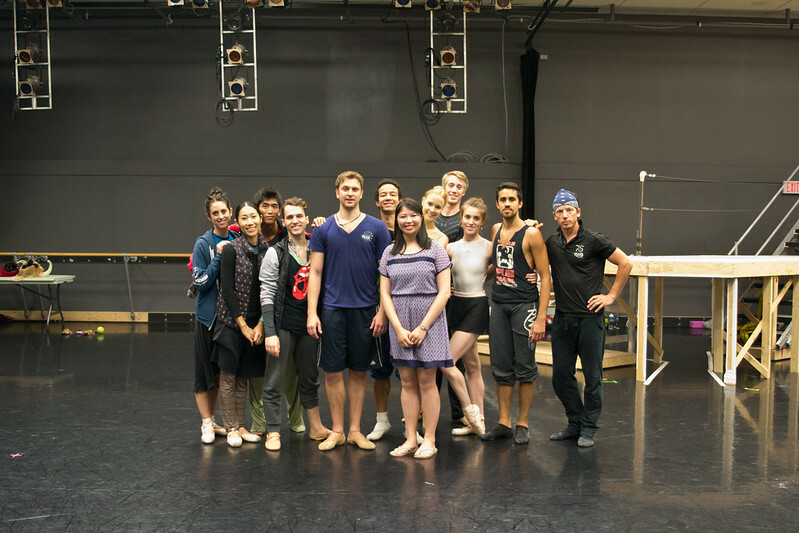 I love the back story in this post and am really pleased that you got to go behind the scenes at Royal Winnipeg Ballet. What a great experience. Thanks! It’s never too late to try 🙂 There are lots of adult classes around that teach you all the grace and coordination you need. Wow! It must have been incredible to see The Nutcracker at that venue. It’s beautiful! What a really special experience – the photos are gorgeous. And that’s so interesting about the costumes all being white and then dyed. I’d never have thought that. Great to see how much happens backstage. It never occurred to me either that they would dye their fabrics, but it makes so much sense once you’re in the know. wow. it’s amazing when you get to see how brilliant things are behind the scenes! I am so glad you got to go backstage and click the behind the scenes. I have always wanted to do that at the Boston ballet for the Nutcracker.